If the Indian auto industry has to achieve the projected sales target of 13+ million passenger cars a year by 2026 (Automotive Mission Plan 2016-2026), the question of how we are going to sell these cars to the end consumer deserves a deeper thought. Owing an automobile dealership may sound as a fancy deal; however, there is a very articulated criterion that is required to get a hold of a dealership of an automobile brand. The sector offers a robust opportunity to create an empire that requires ample hard work with a dedication to making it big. The car ownership in India has doubled from less than 10 per thousand a decade ago to about 20 per thousand now. Automotive industry’s turnover, which is about Rs 4.5 lakh crore at present, is expected to touch Rs 20 lakh crore in the next five years. But, to keep achieving the goal, the industry needs to invest in the health of the network (distributors, dealers and sub-dealers) that has a direct and significant bearing on an automaker’s performance. “In order to realise the potential of the market by moving closer to our customers, we are not only ensuring access to our customers but also providing them with best-in-class services across all our dealerships," he adds. However, running a dealership requires hard work with a good amount of money in your pocket, and the justification for a good amount would be close to Rs 10 -20 crore. So, why should one invest in such an expensive affair? The automobile industry might not be a good revenue generator in short-term but definitely is a great revenue generator in the long-run. The market is yet to grow at its true potential and is expected to perform better in the years to come. 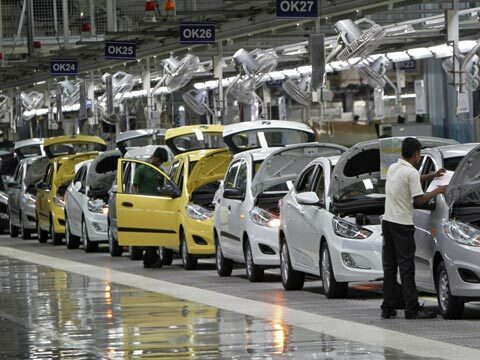 "Better monsoon, positive customer sentiments and Seventh Pay Commission bonanza should help auto industry to perform much better than last fiscal year. Possible GST (Goods and Services Tax) roll out and resolution on ban on large diesel vehicle will also help the auto industry in keeping the growth momentum," says Abdul Majeed, Partner and automotive sector expert at Price Waterhouse. “With the economy projected for strong growth in this financial year, and increased consumer spending capability, manufacturers will likely turn to new-model launches and updates of existing models to drive new-vehicles sales,” says Shantanu Nandi Majumdar, Director at JD Power, Singapore. Maruti recently ventured into the premium segment and inaugurated their premium dealership named Nexa. A study finds that 49 per cent of all dealerships in India expect to make a profit in fiscal year 2016. "Our dealer network and 3,100 service workshops ensure after sales reach among customers," adds the Maruti Suzuki spokesperson. Automakers are doing their part to help their dealers make profits, extend financial support to make it easier for them to conduct business and ensure they remain viable. In 2016, 62 per cent of the dealers indicate that car manufacturers are offering them financial assistance to purchase new-vehicle inventory, up from 55 per cent in 2015. “In the current scenario, manufacturer support in areas such as marketing and sales activities and product training are likely to help convert shoppers into buyers,” Majumdar adds. Clearly, a healthy, engaged, profitable network will play a significant role in fulfilling the promise that will catapult India on the manufacturing map of the world.